You can’t beat Google…people have tried and people have lost. In the end, Google always finds a way to eliminate shady tactics that attempt to manipulate the system. 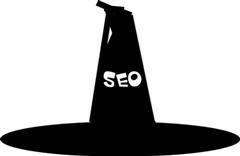 If you are new to the IM industry, black hat SEO techniques are unethical practices that try to unfairly manipulate search engine results. Google is insistent on cracking down on these tactics one by one and eliminating “spammy” sites from search engine results. The dichotomy is that some SEO companies still use these techniques. Obviously I wouldn’t call the companies legitimate but you would be surprised by how shady the techniques can get. Here are the top 4 black hat SEO techniques. Never engage in these practices…I repeat NEVER engage in these practices or your website will go away faster than you can blink. Doorway pages are hidden from the viewer but set up to rank well in the search engines. These pages are often stuffed with keywords and illegible content, but to the basic website user the page looks completely normal. Most authentic SEO companies stay away from creating doorway pages. It is simply too risky and against Google’s terms. People who scrape content use software that generates content from other websites in the search results and steals it for their own gain. This action will get your site penalized immediately. Your content must be unique 100% of the time and valuable to your audience. If you are ever questioning tactics that are even remotely similar, just say no! Back in the day, the more links you had on a page the higher you ranked. This tactic does not really work anymore and is considered “spammy”. However, some people still use the hidden link trick and make the links the same color as the background so they are not noticeable. So the viewer sees plain text but the search engine sees links. The more keywords the better, right? Wrong! Excessive keywords signal to Google you are manipulating the system. Your content should read naturally and sound like normal copy. How do you know if you are keyword stuffing? If you add any keywords back to the copy after you write it, you may want to re-read the copy to see if it sounds natural. If you want to add more keywords, you must write more copy along with it. A high percentage of keywords in relation to the copy length could get your site penalized. Don’t worry so much about keyword density percentages…just make sure the content reads well. Stay away from any activities that are even close to these black hat techniques. Google consistently updates its algorithms to remove these sites from its index. You never have to worry about being penalized if you continue to generate unique, quality content and prioritize a valuable experience for your website users. 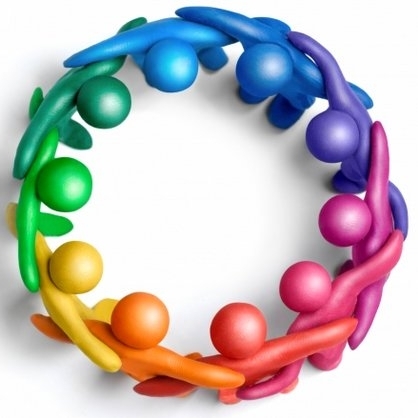 In the internet marketing industry, quality always trumps quantity. Facebook has made recent changes like adding a significant metric such as the “People Talking About This” and launching Facebook Actions through the Open Graph last week. Facebook tells users changes like the Timeline profile will enhance user experience. Though some of you might agree that these changes aren’t exactly improvements for usability, most of them can be used to improve user engagement strategies. Keep in mind that for some people, Facebook is the Internet and vice versa. And as a community manager, you have to place yourself in an ordinary user’s shoes. With all these new enhancements, how can you increase engagement on Facebook? One of the most essential aspects of user engagement is time management. It pays to be aware of the peak hours to capture the most engagement. So when’s the best time to post? Always put into consideration the timezone of your customers, if majority of them are in EST then it’s best to post during these hours: 10am-11am, 4pm-5pm, and 10pm-11pm. Arguably, these three schedules will fit into PST as well, but it’s always up to you to test alternative schedules and intervals for sharing a post or asking a question on your page. Thanks to social media, customer-company collaborations have paved the way to improve product development. Before, companies will ask for feedback just for the heck of it. Social networks gave customers a voice where they can make or break a product. As Jeff Jarvis puts it, “Customers are your walking ads.” And as a business, bear in mind that the products you offer are for customers and not for you. Asking for substantial feedback from customers on Facebook will support your brand development teams in addressing issues to make a product or service better. Surveys are interruptions and that’s the truth. Most of my peers feel that conducting surveys is a total pain. You can’t seem to ask people to answer questionnaires unless you give free stuff. So how do you entice people to answer a survey? Simple – ask for their opinions about your company’s product or service. People who are active in social networks are the most opinionated. Once you get to have them answer a survey, lead them to a Thank You page where you offer free product-related apps or a 30-day free trial of your service offerrings. Free is the new medium for surveys. Arguably, the most crucial aspect of CRM. Remember Dell Hell? Michael Dell turned it to a pitcher of lemonade when he launched the IdeaStorm blog and the Social Media Listening Command Center to collaborate with customers and address product complaints. Dell knows that establishing a presence on the Social Web will not only increase engagement but gain fans as well. Remember that positive customer feedback is more powerful than advertising. Before you know it, you’ve made an irate customer into a brand ambassador! Yes, social media dashboards help a lot with engagement specially with queued posts and tweets. However, it’s another story to totally depend all social media activities to a social dashboard. It’s a lemon that will screw your CRM! Always keep in mind that an effective community manager knows that he has to engage with fans in real-time. Why? Because real engagement happens in real-time. Pinterest, Tumblr, now Facebook Timeline… Due to the popularity of visually appealing platforms, businesses need to heed the growing demand for visual content. To help you brainstorm ideas for adding visual content to your marketing mix, I drew up a few infodoodles, then I put them in a slide show for you. If you’d rather not go through the slide show (even though it’s superquick), here’s the non-colorful version. 1. Select photos for your Facebook Timeline, Twitter page, etc., that let your brand’s personality shine. 2. Have visual recordings of important talks to share. Highlights and key points of a talk are recorded as they are spoken in pictures, doodles, symbols, etc. 3. Create infographics. Use images to share data in a visually appealing way. 4. Add author photos to bylines. Photos help readers connect with authors. 5. Get a subscription to use stock images and use one (or more) in every published piece. 7. Craft a slide show of notes from talks or bulleted info. 8. Use images from Instagram, Twitpic, etc., to spruce up articles. 9. Inspire users to share images with you to use. 10. Take photos of cool stuff folks usually don’t see, new uses for your product, and your customers’ stories. Ranking third, fourth and fifth are editorial content (58%), branded websites (58%), and opt-in emails (50%) respectively. Traditional forms of advertising using media such as television, print and radio rank lower, and have seen a significant drop – as much as 24% – since 2009. Nielsen finding’s indicate that editorial content such as that found in newspapers is trusted, as well. Normally, we associate such content with those we would consider to be experts in their fields. So a reliance on expert voices – authority figures, celebrities, etc – is a wise move. Think Kim Kardashian at Shoedazzle, or Rachel Bilson and Kate Bosworth at Beachmint as examples. Tactics aside, what is of greatest importance is that your social media engagement be marked by authenticity and transparency. People want to be told the truth. They want their interactions with you to be validated by a genuine personal response. And they want the acknowledgement that what they have to say matters. Delivering quality service is the cornerstone of every successful business. Start-ups can’t grow into sustainable enterprises without it. Established companies lose market share when service levels drop. The need for a good customer experience is well known and easy to declare. Identifying the specific characteristics required to meet people’s expectations is much harder and changes over time. Customer service demands are very different today. Making everything as easy as possible is replacing the over-the-top exceptional experience that drove sales and loyalty a few years ago. Our digital world robs people of time, making a quick and easy shopping experience a luxury. It also makes delivering quality service more efficient and effective. When you add the ability to provide on-demand information via social media to the self-service shopping preferences of today’s consumers, you get an economical way to provide exceptional service. A study by the Corporate Executive Board of more than 75,000 people who had contacted B2C and B2B call centers found that 57% looked for answers on the website before calling the company. Imagine how having the right answers easily accessible for self-service individuals would affect your bottom line. Even if it only reduced calls by 20%, wouldn’t it be a significant impact? What if providing answers online also increased sales and customer acquisition? The lines between customer care and marketing are blurring. Answers that solve problems and link to products and/or services drive sales. Companies that recognize this and use all available tools and channels to provide readily accessible information have a competitive advantage. The best customer service begins with managing expectations. Providing policy information in an easy to read and understand format establishes boundaries. Always give your business a little wiggle room because things happen. For example, if orders generally arrive at the customer’s address in 3-5 business days, state that orders arrive in 4-7 business days. People are pleasantly surprised when they arrive early and you have some extra time if there is a problem. Transactional emails reaffirm the expectations established during the shopping stage. Customers should never have to wonder if orders or messages have been received and when items or responses will be received. Providing confirmation and setting expectations in advance significantly reduces questions and queries. Send updates as soon as possible if challenges arise that change the information provided. Most people (as in 99.99999999999%) don’t want to discuss their private business on a public forum. If customer expectations are clearly defined and follow up communication is good, your social pages won’t receive posts concerning specific order information or complaints. There may be the occasional private message, but baring catastrophic operational failure your customers won’t use social sites to resolve in-house service issues. How is customer service a pillar of social media? Quality service solves problems. When people think of corporate customer service, transactional issues usually pop in their mind. They forget that the products and services offered by companies solve problems. The types of problems vary, but the reality remains that demand is driven by the need to solve problems. This is where social media is a valuable service and marketing channel. It allows you to show customers and prospects how your company can solve their problems. For example, if your business sells parts, providing how to troubleshoot videos with links to the appropriate items is a service. Even better, create how to install the parts videos and include link information in every outgoing order for those items. Use good keywords to attract natural search and links to additional information for buying. It serves prospects trying to resolve issues and helps customers insure they are doing it right. The results are more sales and fewer calls. Naturally it takes time and effort to reformat and upload all of the information you have available. The reward makes it worth your while because social sites become members of your sales and service teams. If it is done right the first time, there is minimal maintenance and long term benefits from providing digital customer service. The Internet is a mess. There’s so much information out there that it’s a blessing we can find anything at all. Sure, you can ask Google for a hint, as long as you know what you’re looking for. But when it comes to discovering new and inspiring things on the Internet, Google isn’t helping at all. Which is why we need filters. Fortunately, Internet filters exist, and they come in the form of social media curators. They’re like your friend who lives around the corner who you can always call to suggest a new pizza place that you’ll love. They sift through and aggregate the endless amount of information on the Internet and present us with the best of the best. Whether they are posting to a standalone site that brings together the best content of the Web, or constantly tweeting links to the information that you want to see, these curators spend their time as the Internet’s funnel and educate you as to what’s happening in the areas you care about most. Making it a habit of checking in on these sites and online personalities will keep you updated and stimulated by news and content from a constantly flowing and replenishing pool of information. Maria Popova is a cultural curator and writer at Wired, the Atlantic and many other publications. Her site brainpickings.org may be the best example of a social media curator’s job. The site combines all types of media from the four corners of the web to not only keep you interested in the most recent updates from the wired-in world, but also inspires you with the creativity and herculean efforts from the people and organizations around the world. Maria’s site reminds you why the Internet is so amazing, because it breeds creation and reaches the masses. Josh Rubin and Evan Orenstein aggregate media on their site, coolhunting.com that brings together the latest innovations in design, culture and technology. They broadcast their content over multiple social media sites and even have an app that makes browsing through their content effortless. Their site design is top of the line and their information on technology will help you track and monitor the stylistic trends in the industry. Jean Aw is the girl behind, NOTCOT.com, a hyper-visual aggregation site that uses pictures and videos to broadcast the latest news from everything from tech to travel. Her site is a lot like the rest of the sites on this list, but perhaps with a better feel for what’s currently popular. By keeping a very specific eye out for content on the web, she creates a site with a definite attitude and identity, while simultaneously delivering valuable content. When you think about the amount of information on the Internet, a social media curator’s job seems impossible. However, everyone practices forms of curation with word-of-mouth suggestions, everyday. We even practice curation with our preferences of which sites we spend our time on. So while the Internet may seem big and scary, curation is happening all around us. It becomes manageable. And the sites we choose to spend our time on and the channels in which we look for content benefit. What separates the people on this list is not only that they’ve found a niche and stuck to it, but they've created platforms and networks that allow their content curation to thrive. In the future, content curation is going to be an incredibly important part of managing the Internet. Google can’t do it with an algorithm (Although they’ll will try, with a product like Google+). But Facebook, Twitter and Pinterest are heading there. Every new feature on these sites is geared towards exchanging information and content from known sources: your friends. The new battle for the Internet will be for a platform or system to find and distribute the “best” content out there. Does it exist already? Whoever wins will be up to us and our friends to decide. All sources that we have seen have been tied to the social reader app. For more information view your Facebook News Feed and look for Trending Articles. More updates will come as we have them. A social media landing page is a hub on the brand.com site that highlights all the social media platforms the brand is on. Similar to other landing pages, it’s a page tailored for a specific user group that is indexed by search engines. However, unlike landing pages for paid search or display banners, a social media landing page (SMLP) offers very different calls-to-action. They typically include the usual suspects such as engaging the brand, joining the community, and reaching out to other social platforms, which place more emphasize on social conversion instead of traditional sales conversion. So what are the juicy benefits of SMLP? What I like about it - Best Buy uses the tagline “Everyone’s talking” which truly reflects how the organization approaches social media. The landing page not only aggregates theirTwelpforce, Forums, YouTube channel and Geek Squad Blog, it also puts Rating & Reviews in the forefront and encourages customers to express new ideas on IDEAX. The page follows a simple design with a primary goal of meeting user needs, two thumbs up on the layout and user experience. What I like about it – AT&T pulls all of their social media presence together and divides them into 6 grids based on the target audiences. The SMLP has a permanent place under “About AT&T” which yields higher page rank. And the right-hand-side panel shows the latest 5 tweets from their Twitter handles. What I like about it - Jeep tapped into the “dangerous” territory of social media, aka user-generated-content (UGC) and embraces those content on their brand website. The top right “Share” button enables user to contribute videos/photos to this SMLP via their personal YT or Flickr account. Additional groups and links at the footer allow Jeep owners to expand their connections and networks. What I like about it – Microsoft demonstrates how it harnesses social media in a completely transparent and innovative way. Unlike other brand SMLPs, Microsoft actually positions this a social media hub where viewers can see what other customers are saying about Windows 7 in real-time. It pulls and displays content tagged with Windows 7 from various social networks, from Twitter, YouTube to blogger and their Facebook Fan Page, . In addition, although there is a manual moderation process in place, they do include the good soundbites as well as the the comments that don’t put Windows 7 in the best light. The About Page on the site did a good job explaining their moderation policy. What could be improved – To allow users actually “Join the conversation” on site by leveraging Twitter API/Facebook Connect, etc. To share more insights around the extracting and curating feature with other 3rd party companies, so more brands can embrace the idea of a social media hub. In conclusion, many companies need a social media landing page to integrate the offsite social media activities into their .com business. However, there isn’t a one-size fits all solution when it comes to design & functionalities, the page should be optimized based on the brand’s social media goals and their social media user base.